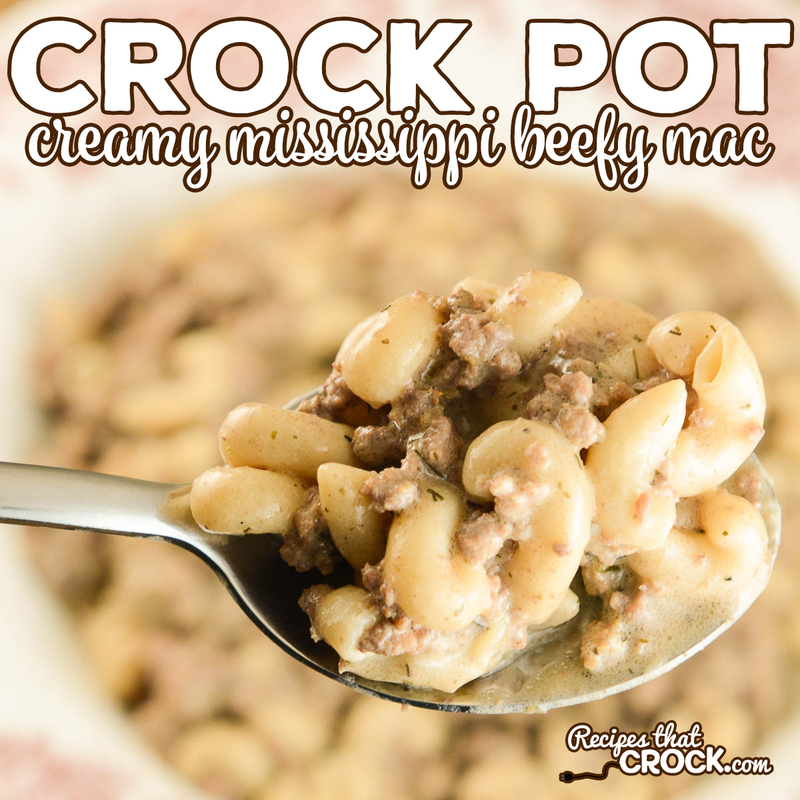 Crock Pot Creamy Mississippi Beefy Mac - Recipes That Crock! Our Crock Pot Creamy Mississippi Beefy Mac takes all your favorite Mississippi-style flavors and turns them into a delicious homemade “hamburger-helper” style meal! One of our favorite ground beef recipes! As long time readers know, Mikey– my hubby– is totally head over heels for any Mississippi-style recipe, so I am always working with those flavors to see if we can come up with something new. And this Crock Pot Creamy Mississippi Beefy Mac has knocked those flavors out of the park! Miss Add (my daughter) is CRAZY about this recipe. It reminds me a lot of a hamburger helper type meal. 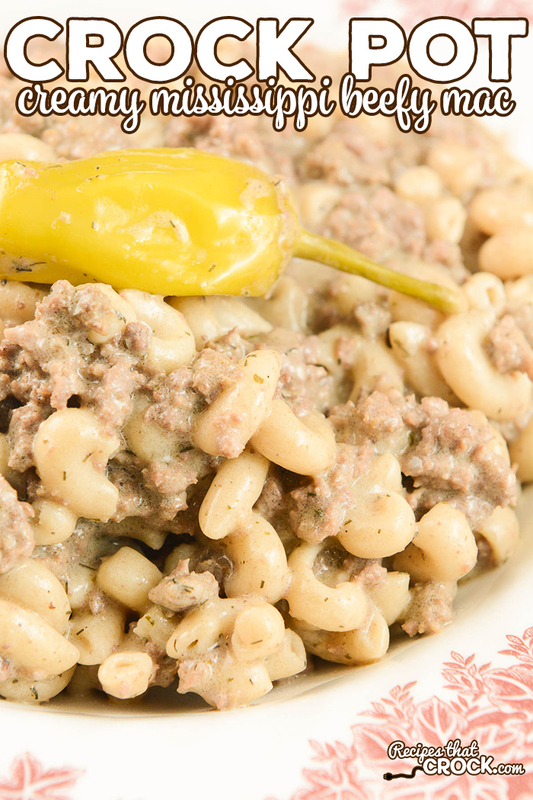 Our Crock Pot Creamy Mississippi Beefy Mac takes all your favorite Mississippi-style flavors and turns them into a delicious homemade "hamburger-helper" style meal! Brown your ground beef with your onion and garlic in a skillet or on a 6 quart browning multicooker. Place browned beef (drain if desired) in your slow cooker or multicooker and add ranch, au jus, butter, pepperoncis and juice. Stir well and cook on low for 4 hours. Stir in cream cheese and cooked macaroni and serve. I can’t find the ranch dressing packets with dill. Can I use regular ranch and add dried dill weed? If so, how much should I add? Absolutely! Or you could just use a regular ranch packet on its own.